Quinlan students celebrated their Commencement at Gentile Arena on May 10, 2018. Experience Commencement 2018 — from Quinlan's commencement celebrations through the Commencement Ceremony — through the photo galleries and videos below. 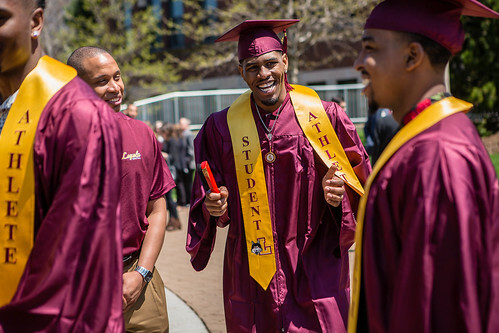 On May 10, more than 800 students graduated from the Quinlan School of Business. Nicki Pecori Fioretti (MBA '96), Director of Community Affairs, Illinois Housing Development Authority, delivered the keynote address, and Demitra Giannaras was the student speaker. 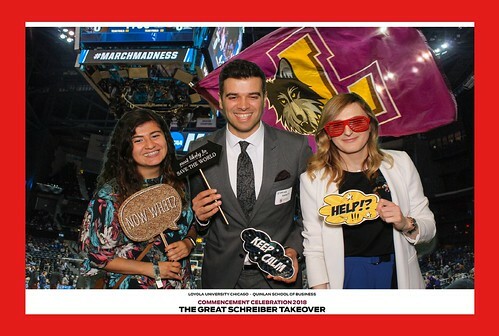 The day before the commencement ceremony, Quinlan celebrated graduating students at the Great Schreiber Takeover, a multi-floor commencement celebration at the Schreiber Center, and at the Annual Honors and Awards Ceremony for undergraduates. Photo gallery: View the photos in the gallery above or on Flickr. Video: View the video above or on YouTube. Scroll below to see Commencement highlights from social media. 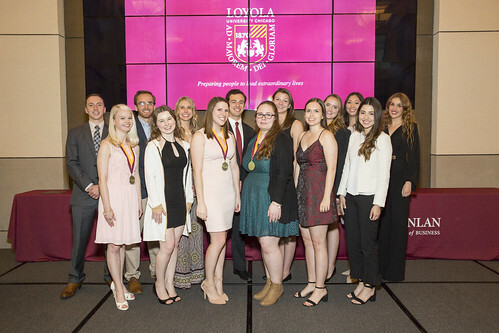 On May 9, the 67th Annual Honors and Awards Ceremony honoring top undergraduate students was held in the Corboy Law Center.